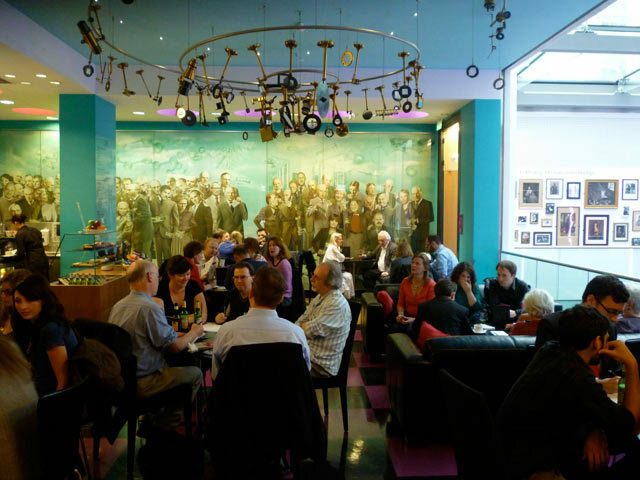 In just over two weeks time, we'll be hosting another London-themed quiz at the Royal Institution's swanky but friendly Time & Space bar. The quiz, on 8 October from 7pm, is part of the Story of London Festival. Here's everything you need to know. How do I enter? Just turn up on the evening, with some willing buddies. We're not taking pre-bookings for this one. So, you might want to get there early to ensure a good table. How big can my team be? We'd advise (but not enforce) no more than five. But it's up to you. If you have a massive team and win, the prizes will be spread more thinly. Is there an entrance fee? Yes. £8 per team. Every single penny of which goes to the Mayor's Fund for London (a very worthy charity for disadvantaged youngsters). So what can we win? A goody bag of London-themed items. We're not sure what, yet. But it's likely to include books, tickets, knick-knacks...maybe even some Beefeaters' whiskers, although quite probably not. Incidentally, if you work for a local museum, gallery, bookshop or other venue with London stuff, and you want to offer up a small prize in return for a friendly mention, we'd be delighted to hear from you at tips@londonist.com. And the questions...what can we expect from the questions? If you're a regular reader of Londonist, you'll know the kinds of things we enjoy writing about. Expect to be facted on those. But, then again, a few of the rounds are being written by museums and tour guides, so it should be a real mixed bag. It won't be easy, but it won't be perishingly difficult either. So I'm a little dizzy of brain today. Remind me of those details again? The quiz starts at 7pm on 8 October in the Time & Space bar of the Royal Institution, 21 Albemarle Street, Mayfair. Entrance £8 per team. You're encouraged to get there from 6.30pm to be assured a table. No need to book.